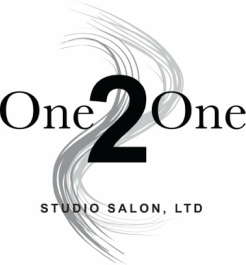 One2One Studio Salon is a personal boutique salon. Our services are devoted to your unique individual needs in an environment that extenuates relaxation, rejuvenation and replenishment. We create a personal space that is as much yours as it is ours. Your experience with us will always be a relaxing getaway from your daily stresses. Since 2004 we have provided personalized design schemes through the highest professional and advanced creativity available in the salon industry today. Personal attention and consistent quality are the key aspects of our service. At One2One Studio Salon Ltd. we strive to build lasting relationships with our guests. Change can be scary and first impressions are everything so let us introduce ourselves in a way designed especially for you.